MOTIVATED SELLERS SAY BRING AN OFFER! A PRIVATE retreat with room to roam and keep your animals this close to town doesn't become available often! If EVER! Here's your chance! 13 acre homestead - 2 minutes from downtown Black Mountain! 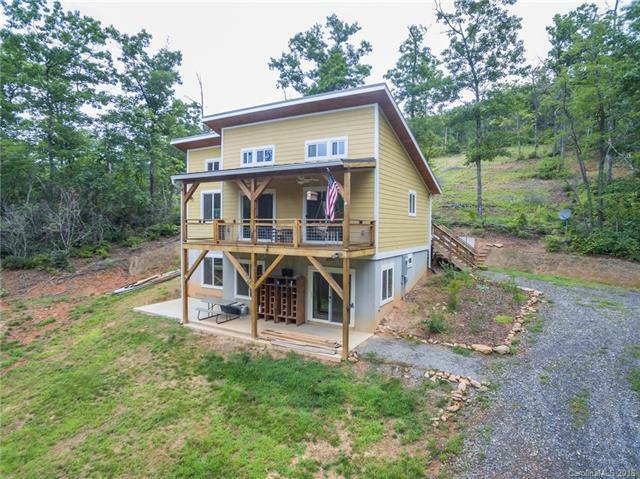 Beautiful, locally sourced, south facing, passive solar, timber frame home with 16 ft pine tongue and groove ceilings. Home built in 2016. Radiant Tech floors in lower level heat & cool. Pella windows. SIP Panels plus foamboard for extra insulation. Superior Wall basement construction. Acreage adjoins Ridgecrest Conference Center property. Numerous trails to enjoy! Buried utilities and high speed internet (Charter Spectrum cable) already in place. Approximately 4 acres have already been cleared and planted for pasture. Small, spring fed pond. 13-acre tract to be subdivided out of original 18 acres. See MLS #3437695 for house and 8 acres purchase option. Sold by Keller Williams Professionals. Offered by Freestone Properties. Copyright 2019 Carolina Multiple Listing Services. All rights reserved.